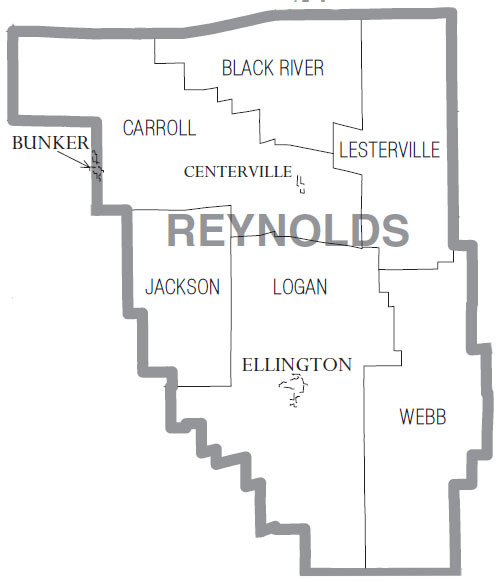 Reynolds Co., MO was formed from portions of Shannon Co.
You might consider searching in that County for earlier records. The following table details the population of the County from the first census available up through 1940. Information is shown for 1890, but that census was mostly lost due to a fire and mishandling in the 1920's and 1930's. This is where you get to help out your fellow researchers! If you know of a great Reynolds Co., MO genealogy site, click below to send us an email with the url. Please provide a short description of whats on the site. We'll post it in the list below. The links below are provided by your fellow researchers. They're ones they've found to be useful. Help out ! Click here to send Courthouse Contact Information if you have it. for their own personal use, however commercial use of this information is strictly prohibited.